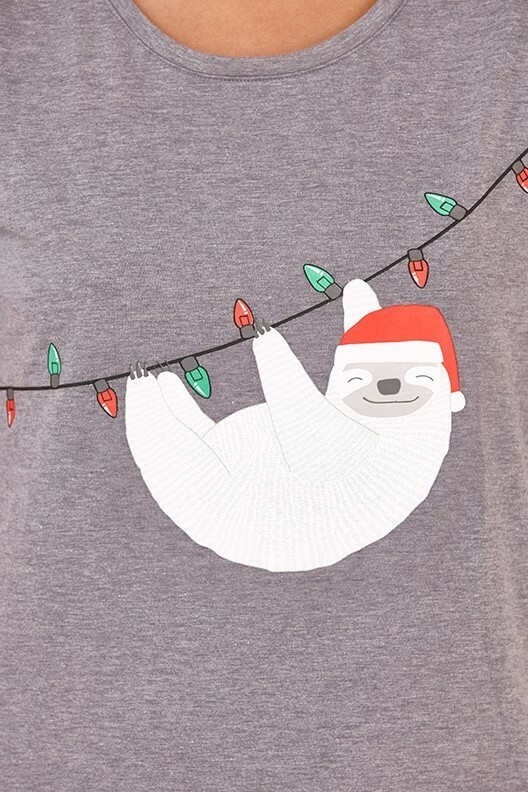 Our Loungeable grey sloth hanging on Christmas Lights night shirt is perfect for those lazy days over Christmas or just all year round! 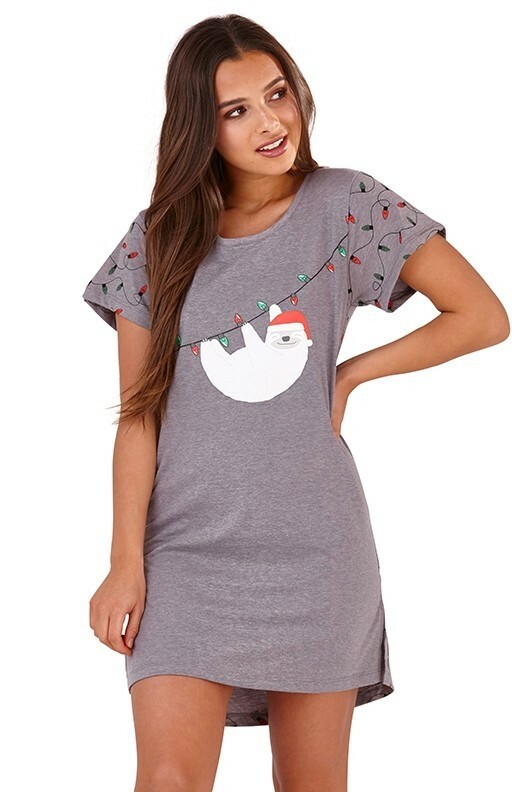 Featuring a short sleeved night shirt with cute sloth graphic - makes these subtly festive - perfect for an xmas pressy too or just one for yourself! 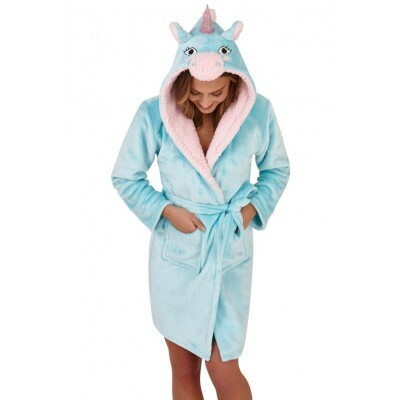 Made from: 65% Polyester, 35% Cotton. 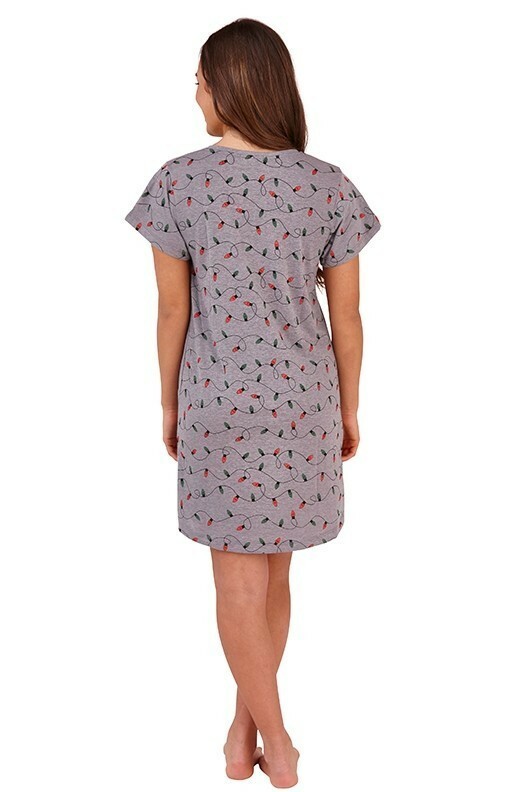 Model wears small - 5.6", size 6-8.